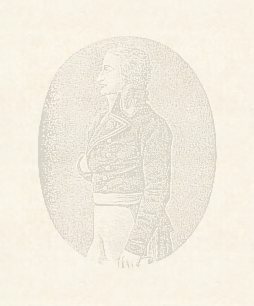 18/10/1753 : Birth of Jean-Jacques Regis de Cambaceres in Montpellier. He is the son of Jean-Antoine de Cambaceres, mayor of the city, and Marie-Rose de Vassal. 20/10/1753 : Baptism in Saint-Pierre church, in accordance with the Languedocien tradition, his godfather Charles Bouyer and his godmother Jeanne Temple are two orphans of the hospital general. Year 1772 : After having obtained his licence of law to Faculty of Montpellier, Cambaceres becomes lawyer in Montpellier. It is initiated freemason in the lodge St-Jean du Secret (attached to the English rite). 21/10/1772 : Cambaceres buys the office of mayor of Mirepoix (Ariege). His father Jean-Antoine de Cambaceres bought this office at 25/09/1756. 16/11/1774 : Taking of his father's office, Cambaceres becomes adviser in the Court of Comptes, Aides and Finances of Montpellier. This magistrate office belong to his family since 1640. Year 1776 : He travel to Paris for a few weeks with his friend Jean-Antoine Chaptal. 17/05/1779 : Cambaceres joined the lodge l'Ancienne et la Reunion des Elus (attached to the french Grand Orient). Year 1786 : Elected deputy by the montpellierian lodges at the annual assembly of the french Grand Orient. February 1789 : He travel again to Paris, to obtain a financial assistance of his uncle, but the abbot Etienne-François de Cambaceres refuses it to him. 31/03/1789 : Elected second deputy of the Nobility in the Estates-General. The seneschalsy of Montpellier having obtained only one seat, it does not leave for Versailles. 08/09/1789 : Appointed to the head of the Subsistence Office of Montpellier. 01/10/1789 : Beaten by a short majority for the presidency, Cambaceres is elected vice-president of the town coucil of Montpellierl. 05/01/1790 : Creation of the Constitution's Friends Society in Montpellier. Among the founder members of this club, one finds d'Aigrefeuille, Cambaceres, Cambon, Chaptal, Pavee de Villevieille. 20/06/1790 : Elected assistant to the Prosecutor-Syndic of the district of Montpellier. 12/01/1791 : Purchase of the Saint-Drezery castle, close to Montpellier. 13/09/1791 : Elected President of the Criminal Court of Herault by 316 vote out of 416 voters. He takes his functions the 01/01/1792 and chairs the first session the 15/02/1792. 02/09/1792 : Elected deputy of Herault in the Convention. 14/10/1792 : Appointed in the Commitee of civil and criminal Legislation, he becomes President in December of the same year. 07/11/1792 : He disputes with the Convention the capacity to judge the king. 15/01/1793 : Cambaceres votes YES at the question “Louis Capet, above king of the French, is he guilty of conspiracy against freedom and conspiracy against the State security?”. 17/01/1793 : He votes for the Louis XVI's detention until the end of the war. 20/01/1793 : 20/01/1793: He vote NOT at the question “will be stay of execution of the judgement of Louis Capet? Yes or not?”. He makes vote by the Convention a decree making it possible to the king to see his family and a priest. 24/01/1793 : Elected Secretary of the Convention. 26/03/1793 : Elected Secretary of the Commitee of General Defense and Public Salute. 01/04/1793 - 05/04/1793 : Elected President of the Commitee of General Defense and Public Salute. 04/06/1793 : He defends with Convention a law guaranteeing the rights of the natural children, in particular the attribution of a half-share at the time of the successions. 09/08/1793 : Cambaceres presents his first Civil Law project at the Convention (695 articles in 2 parts: goods and people). 15/07/1794 : Cambaceres presents at the Convention his project of Plan general plan of the laws classification. 25/07/1794 : To Tallien, Legendre and Cambon which say to him “to act clearly” (against Robespierre), it answers “to vote with you yes, but to fight, not, because I do not know only how one arms a rifle”. 09/09/1794 : Presentation of the second Civil Law project to the Convention (287 articles in 3 parts: goods, people and obligations). 07/10/1794 - 22/10/1794 : Elected President of the Convention. 09/10/1794 : Publication of the speech called “Adress to the French”. 11/10/1794 : Cambaceres chairs the translation of Rousseau into the Pantheon. 21/10/1794 : Cambaceres chairs the Victoiries festival at the Champ de Mars. 07/11/1794 - 05/03/1795 : Elected President of the Commitee of Public Salute. 05/04/1795 - 02/08/1795 : Re-elected President of the Commitee of Public Salute. 01/09/1795 - 30/10/1795 : Re-elected President of the Commitee of Public Salute. 12/10/1795 : A royalist agent named Le Maître is arrested. One finds at his place an alleged correspondence implying Cambaceres in a royalist complot. 12/06/1796 : Presentation of the third Civil Law project to the Council of Five hundred (1104 articles in 3 parts: goods, people and obligations). 04/09/1796 : He founds a law firm. Specialized in business law, he becomes the legal adviser of the french East India Company, the Mines of Anzin Company (contracts obtained via his cousin Guillaume Sabatier), the duke of Orleans's family, bankers and army contractors as Ouvrard and the Michel brothers. 22/10/1796 : Elected President of the Council of Five hundreds. 27/05/1797 : Not re-elected at the election of May 1797, he leaves the Parliament. 20/07/1799 : Appointed Minister of Justice thanks to the support of Sieyes. 08/11/1799 : Bonaparte have dinner at Cambaceres's home and the guests develop the coup of 18 Brumaire's details. 10/11/1799 : Without news of Saint-Cloud, Cambaceres constitute a triumvirate of help with Bernadotte and Augereau in order to seize the power in the event of failure of Bonaparte. 11/11/1799 : Taken back in his functions of Minister of Justice. 12/12/1799 : Cambaceres becomes Second Consul for 10 years. February 1800 : He moves in in the Elbeuf hotel, at Saint-Nicaise street. 06/05/1800 - 02/07/1800 : During the second Italian campaign, he becomes the head of government by interim. 02/01/1802 : The Tribunate reject the fourth Civil Law project. 08/01/1802 - 27/01/1802 : During a Bonaparte's travel at Lyon, he becomes the head of government by interim. 20/05/1802 - 23/05/1802 : Cambaceres does an official travel in Seine-et-Marne and the departments bordering. 29/10/1802 - 14/11/1802 : During a Bonaparte's travel in Normandy, he becomes the head of government by interim. 05/03/1803 - 15/03/1804 : Vote and promulgation of the 36 bills composing the Civil Law. 25/06/1803 - 11/08/1803 : During a Bonaparte's travel in Belgium, he becomes the head of government by interim. 03/11/1803 - 18/11/1803 : During the first Bonaparte's travel at Boulogne, he becomes the head of government by interim. 30/12/1803 - 06/01/1804 : During the second Bonaparte's travel at Boulogne, he becomes the head of government by interim. 14/02/1804 : Cambaceres announces his opposition to the arrest of the Moreau general. March 1804 : Cambaceres is convened at Malmaison with his colleague Lebrun. Bonaparte exposes to them his will to transform the Consulate into hereditairy monarchy. During the return, Cambaceres envisages “the Consulate is finished. Imperial monarchy will start. A kind of instinct says to me that it will not last a long time”. 10/03/1804 : Cambaceres is opposed to the arrest and the execution of the duke of Enghien. 21/03/1804 : Vote Law which repeals the old Law and joins together the 36 laws in a “french Civil law” (2281 articles in 4 parts: the application of the laws, goods, people and the property). 15/05/1804 : Disapproving the principle of the hereditairy Empire, Cambaceres resigns of his functions of Second Consul. The following day, he reconsiders his decision after a discussion with Bonaparte. 18/05/1804 : At the proclamation of the Empire, Cambaceres becomes Archchancellor of the Empire. 18/07/1804 - 12/10/1804 : During the third Napoleon's travel at Boulogne, he becomes the head of government by interim. 03/12/1804 : Elected official Administrator-General of the french Grand Orient. 01/02/1805 : Cambaceres is promoted Great Aigle of the Legion of honor. 02/08/1805 - 03/09/1805 : During the fourth Napoleon's travel at Boulogne, he becomes the head of government by interim. 24/09/1805 - 26/01/1806 : During the campaign against the third coalition, he becomes the head of government by interim. 13/12/1805 : Elected Great-Master-assistant of the the french Grand Orient to replace Louis Bonaparte. 08/08/1806 : Elected Souverain Great-Commander of the Supreme Council of the Ancient and Accepted Scottish Rite. 25/09/1806 - 26/07/1807 : During the Prussian campaign and the operations against the Russian army, he becomes the head of government by interim. 25/10/1806 : Elected Great-Master of Heredom of Kilwinning. 04/03/1807 : Elected Great-Master of the Mother-Lodge of Philosophical Scottish Rite. October 1807 : He goes on an official journey to Montpellier, where he resides by his cousin Guillaume Sabatier during more than one month. Mid-december, it moves towards Bordeaux to chair a meeting of the electoral college. 08/03/1808 : Elected Great-Master and Guard of the Primitive Rite of Narbonne (Primitive Scottish Rite). 02/04/1808 - 14/08/1808 : During the voyage which Napoleon undertakes in Bayonne to arbitrate the Spanish dynastic quarrel, Cambaceres becomes the head of government by interim. 09/08/1808 : Purchase of the Mole hotel (or Roquelaure hotel), at Saint-Germain boulevard . 18/08/1808 : Cambaceres is made duke of Parma. 22/09/1808 - 18/10/1808 : During the interview of Erfurt, he becomes the head of government by interim. 29/10/1808 - 23/01/1809 : During the invasion of Spain, he becomes the head of government by interim. 13/04/1809 - 26/10/1809 : During the Austrian campaign, he becomes the head of government by interim. 29/07/1809 : Unloading of the English army (45000 men) on Walcheren Island in Holland. Flessingue (Vlissingen) is taken the 15/08/1809. Cambaceres charges Bernadotte to defend Antwerp. Decimated by the fevers, the English re-embark the 30/09/1809. The choice of Bernadotte then in disgrace is worth a severe reprimand of the Emperor to him. 21/01/1810 : Like Fouche and Murat, Cambaceres is opposed to the marriage of the Emperor with a princess Austrian and defends the Russian option. 29/03/1810 - 02/04/1810 : Napoleon leaves Paris for Compiegne in order to receive the future empress Marie-Louise there, letting Cambaceres become the head of government by interim. 04/04/1810 - 01/06/1810 : During the honeymoon of Napoleon and Marie-Louise in Belgium, he becomes the head of government by interim. The imperial couple resides at Saint-Cloud until November 1810. 22/05/1811 - 05/06/1811 : During a Napoleon's travel in Normandy, he becomes the head of government by interim. 19/09/1811 - 11/11/1811 : During a Napoleon's travel in Holland, he becomes the head of government by interim. 09/05/1812 - 19/12/1812 : During the Russian campaign, he becomes the head of government by interim. 23/10/1812 : Missed putch of the general Malet . He will be judged with his accomplices the 28/10/1812 by a council of war and will be shot the 29/10/1812. 15/04/1813 - 09/11/1813 : During the German campaign, Cambaceres assists the Empress with the Council of Regency, which it chairs in fact. 25/01/1814 - 06/04/1814 : During the French campaign, Cambaceres assists the Empress with the Council of Regency, which is chaired by Joseph named Lieutenant-general of the Empire. 29/03/1814 : He leaves Paris for Blois with the Imperial Government. 10/04/1814 : Cambaceres is joined the forfeiture act voted by the Senate and the Legislative Assembly. 14/04/1814 : Back to Paris, he sits last once in the Senate. At this meeting, the Senate give the Lieutenancy-general of France to the count of Artois. June 1814 : Cambaceres gives up all his maconnic offices and functions. 20/03/1815 - 22/06/1815 : During the Hundred Days, Cambaceres is again named Archchancellor of the Empire and Ministre of Justice. February 1816 : Sale of the Mole hotel and purchase of the Bragelonne hotel, at University street. Struck by the law of exile, Cambaceres leaves Paris with Lavollee and two servants. 16/02/1816 : Arrival in Brussels. He places in the Imperial Crown hotel, at Great square then in Wellington hotel, at Ducal street. April 1816 : Cambaceres have thermal water treatments in Spa and Aachen, his travel finishes in Amsterdam, where he resides until July 1816. 10/09/1816 : Purchase of the Schönfeld hotel, at Parishioners street in Brussels. 14/05/1818 : Following the intervention of Decazes and the baron Louis, Minister for Finance, Louis XVIII decides that the law on proscribed does not apply any more to Cambaceres. 28/05/1818 : His title of duke and the Legion of honor is returned to him by royal decree. 19/08/1818 : The sequestration of the Cambaceres's goods is raised, its revenues are restored to him with the arrears by the royal Treasury. December 1818 : End of the exile and back to Paris. February 1819 to June 1821 : Cambaceres travel three times to Aachen, Amsterdam and Brussels officially for having thermal water treatments and seeing his proscribed friends. Each time, Cambaceres carries an important amount of money in cash; he sends probably this money to Saint-Helen via a dutch bank. These annual voyages intrigue the french police. In the last passport, the sentence “back to France” is underlined several times : does Louis XVIII fear an Cambaceres's escape? After the Napoleon's death in 1821, Cambaceres stop travelling. 08/03/1824 : Death of Jean-Jacques Regis of Cambaceres in Paris caused by an attack of apoplexy. 12/03/1824 : Funerals in Saint-Thomas d'Aquin church, in the presence of Chaptal, Decazes, Gaudin, Lebrun, MacDonald, Mollien, Mortar, Soult, Suchet, Talleyrand,… Plus of 150 cars foolow himt to his last residence at the Pere Lachaise cemetery. At the same time, a ceremony joins together Ramel and others proscribed in Brussels. Its tomb is in the 39th Division (see Some places). February 1996 : Publication of “Cambaceres”, biography by Pierre-François Pinaud, professor at the Ecole pratique des Hautes Etudes (Perrin editor). November 1999 : Publication of the “Memories or Explanations on the principal events of his political life published by Cambaceres” by Laurence Chatel de Brancion (Perrin editor). 26/05/2000 - 27/05/2000 : Conference on Cambaceres organized by the town of Montpellier under Laurence Chatel de Brancion's scientific direction. September 2001 : Publication of “Cambaceres, Napoleon's project superintendent” by Laurence Chatel de Brancion (Perrin editor).